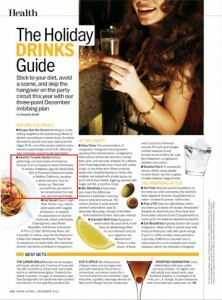 Dr. Sack was featured in an article titled, “The Holiday Drinks Guide.” The article is about sticking to your diet, avoiding office breakdowns and skipping hangovers during a work related holiday party. 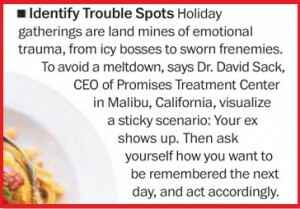 As a tip, Dr. Sack suggested that the best way to avoid a mental breakdown is to identify trouble spots. For this, he explains to visualize how you want to be remembered the next day, and act accordingly. In addition to the inclusion, this story also made the cover of the magazine.